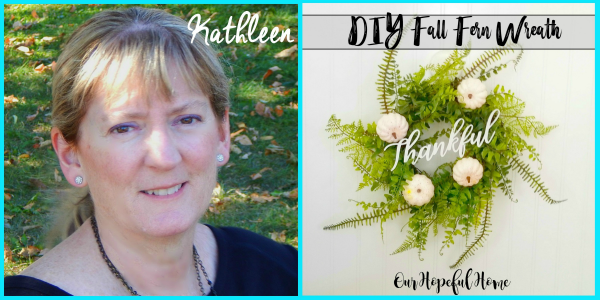 Amber from Follow the Yellow Brick Home, shared some pretty dollar store upcycles for fall, as well as this gorgeous Fall Tablescape Preview. 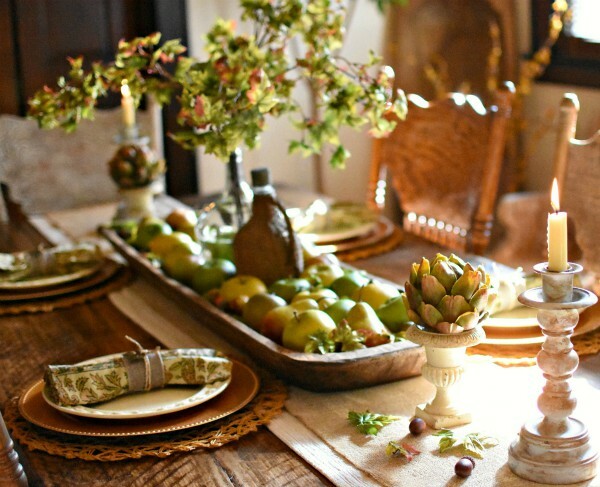 I love how she layered neutrals, color, and natural elements to create this elegant table setting. It's beautiful, Amber! 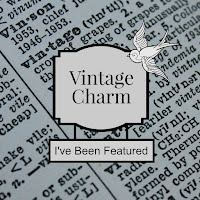 Linda from Crafts a la Mode knows just what to do with old thrifted books that are beyond repair--use their spines to create Awesome Bookmarks! 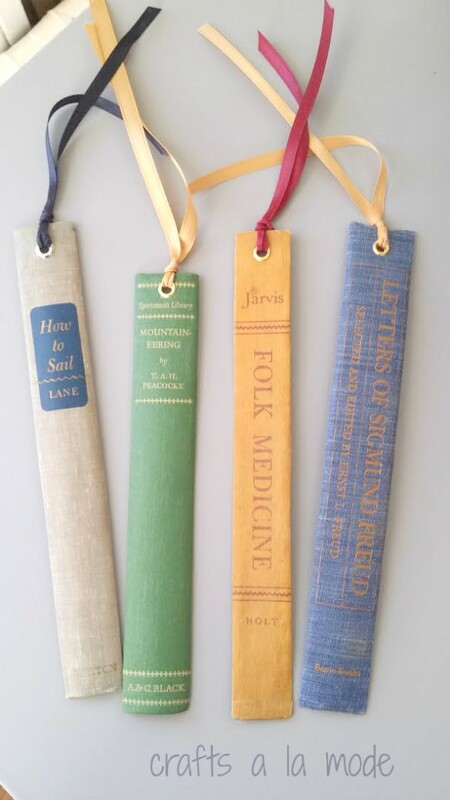 I just might have to purchase some vintage Goodwill books myself and turn them into lovely bookmarks. Wouldn't they make a charming gift? Very cool project, Linda! Love both your features this week, ladies! Thanks for faithfully hosting! 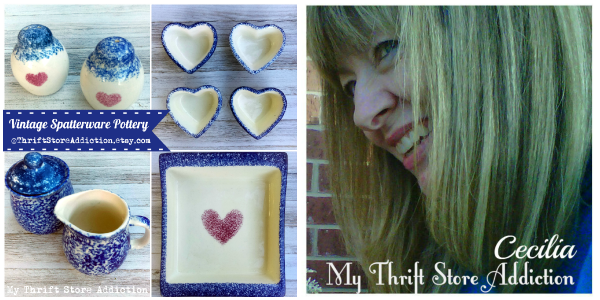 Thank you so much for hosting and the feature! Thank you for hosting this link party. I am enjoying seeing everyone's great ideas! Thank you for hosting this lovely and fun party.